If you fancy a change in festivals this year, why not try out a festival abroad? Festival Internacional de Benicàssim (FIB Festival) takes place this weekend and could be the perfect solution for your holiday blues. It’s simply a case of purchasing your ticket, booking a flight and a hotel. FIB Festival 2011 takes place in Benicàssim, Spain and is a four day music festival on the east coast of Spain between Valencia and Barcelona. 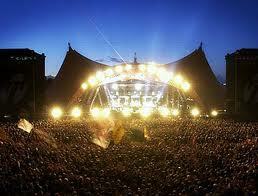 It offers an all-star line-up of globally recognised bands. All attendees with a weekend pass have the right to camp in any of the free of charge camping areas. Besides the camping areas, there are also other accommodation possibilities that include hotels, B&Bs as well as guest houses. The bands performing at Spain’s number one music festival this year, are as follows; Arcade Fire, The Strokes, Arctic Monkeys, Elbow, Friendly Fires, Tinie Tempah, Primal Scream, The Streets, Plan B, Pendulum, Paolo Nutini, Chase & Status, Brandon Flowers, Mumford & Sons and many more! The FIB Festival has been taking place in Benicàssim since 1995 and has hosted hundreds of astonishing acts ever since. Benicàssim is an admired tourist destination and has been for over a hundred years. Its fine sand, softly slanted beaches, crystal clean waters and accessible amenities continue to bring tourists back year after year. This entry was posted on Wednesday, July 13th, 2011 at 11:44 am	and is filed under Music News. You can follow any responses to this entry through the RSS 2.0 feed. Both comments and pings are currently closed.